Retired Lieutenant General and 21st U.S. Air Force Surgeon General Dr. Thomas W. Travis will be the featured speaker at the University of Texas Southwestern Medical Center Third Annual Tribute to Veterans, Nov. 7. Travis, the Senior Vice President for the Uniformed Services University of the Health Sciences’ Southern Region in San Antonio, Texas, will share a personal story about an Air Force medic who was severely wounded by an IED attack in Afghanistan, representative of the sacrifices made by Veterans and the medical advances seen in the current long war. “Veterans Day provides us with a wonderful opportunity to recognize our fellow UT Southwestern employees who are veterans of the U.S. Armed Forces and thank them for their dedication and service to our country. UT Southwestern Medical Center is committed to ensure a diverse workforce - one that fosters an environment of inclusiveness and respect. Welcoming veterans is part of that commitment,” said Ivan Thompson, UT Southwestern vice president for Human Resources. The event is being hosted by the UT Southwestern Office of Diversity & Inclusion and Equal Opportunity, along with the Veterans Business Resource Group. It starts at 11 a.m. in the Eugene McDermott Plaza, D1.600 Lecture Hall on South Campus. Travis served in the U.S. Air Force from 1976 until 2015. He entered the service as an ROTC program distinguished graduate from Virginia Polytechnic Institute and State University, and went on to become an F-4 pilot and aircraft commander prior to attending medical school at USU. 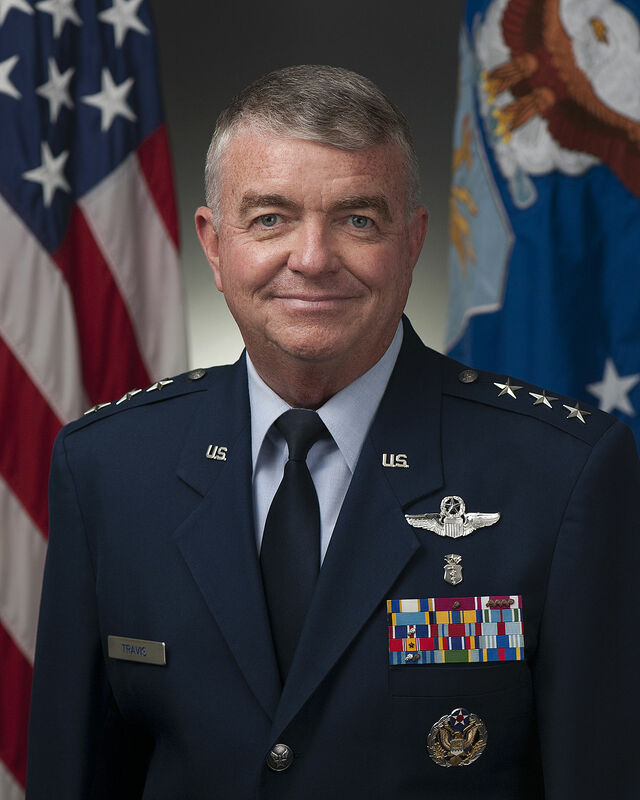 He held a number of prestigious career assignments, including chief of medical operations for the Human Systems Program Office at Brooks Air Force Base in San Antonio, director of Operational Health Support and chief of the Aerospace Medicine division for the Air Force Medical Operations Agency in Washington, DC. He later became deputy Surgeon General of the U.S. Force, followed by Surgeon General, overseeing a $6.6 billion, 44,000-person integrated health care delivery system serving 2.6 million beneficiaries at 75 military treatment facilities worldwide.